The CP Group is a team of the leading manufacturers and suppliers of separation equipment, material recovery solutions, and technology for the waste management and recycling industries. Under common ownership, the CP Group provides customers and partners with engineering expertise and superior support. 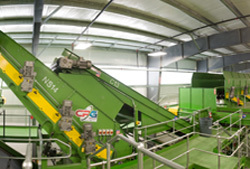 The CP Group is a single resource for all waste management & recycling separation needs, from the tipping floor to baler storage area and everything in between. The CP Group is stronger than ever. When you go with one company, you get the power, support, and expertise of all five. 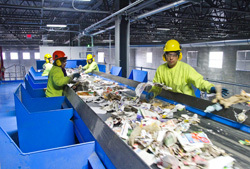 The CP Group keeps the focus on customer needs and the evolution of resource recovery. So if you are looking for a partner who can provide state-of-the-art, turn-key solutions for your material recovery facility, trust the leader. Go with 1, get the power of the entire CP Group of Companies. 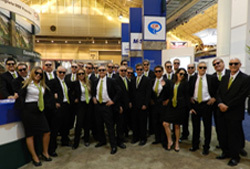 The CP Group Consists of: CP Manufacturing, Krause Manufacturing, MSS Optical Sorters, and Advanced MRF. Power in #’s: Over 400 MRFS installed. 750 employees worldwide. 76 innovative patents and counting. Installations on 6 continents. Over 150 years combined experience.